Gone are the days when buying kitchen appliances meant choosing a cooktop and refrigerator. They came in different sizes, but had pretty much similar features. Now customers have an array of products to choose from – basic, functional appliances to hi-tech lifestyle products. The price range is wide as is the offering. If you are looking at getting a custom designed kitchen in 2018, here are some of the things you will be looking at. The big decisions will be the cooktop and oven combination, rangehood, and dishwasher. If it is an extra-wide, expensive unit, it can be quite a feature in the kitchen. especially for those who love to entertain. Some, like the 120cm and 150cms have more options on the cooktop like a chargrill plate, simmer plate and Teppanyaki. They can be an entertainer’s showpiece. The larger ones may also hold two side-by-side ovens. The new models come with dual fuel options (e.g. gas cooktop and electric oven) and induction cooktops with sensors. It requires no integration with the cabinetry. There is now a wide choice of designs. It leaves you with less flexibility to organise the layout. Oven access is inconvenient and it can be hard to clean. The looks – sleek, modern and very contemporary. It allows for a flexible kitchen layout – the ovens do not need to be under the cooktop – they can be stacked in a vertical or horizontal layout in the cabinetry. This also allows for great storage options under the cooktop for utensils and deep pot drawers right where they are needed. Ovens can be installed at a height that suits the user. Many families with young children prefer a higher oven for safety reasons. 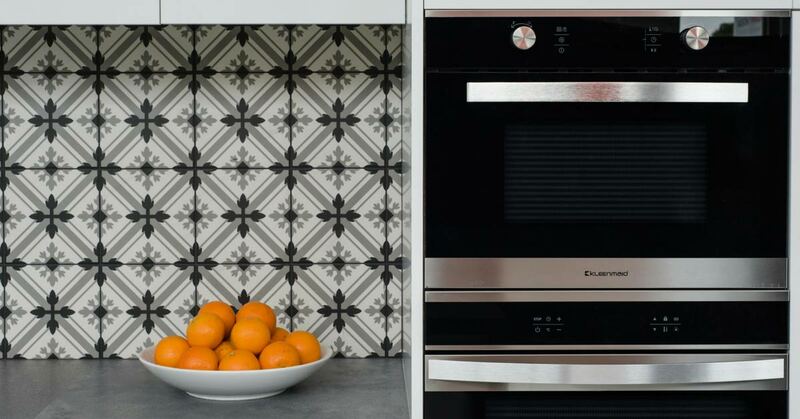 The simple single wall oven – can be the standard 60cm or larger ones that may be 70-90cm. The double oven – the keen cooks and frequent entertainers must have it. Two conventional ovens that allow you to do a roast, while baking a cake in the other. The combo steam and convection oven – one oven with two functions. Very popular with those who want healthy cooking options. But beware that steam ovens are expensive. Once you know what type of cooktop/oven option you want, the designer can guide you to the right products. At Zesta Kitchens we offer our customers only the best European appliances – IAG and Kleenmaid. IAG retails only through kitchen companies, but both offer a range of flexible options that allows for easy customisation. 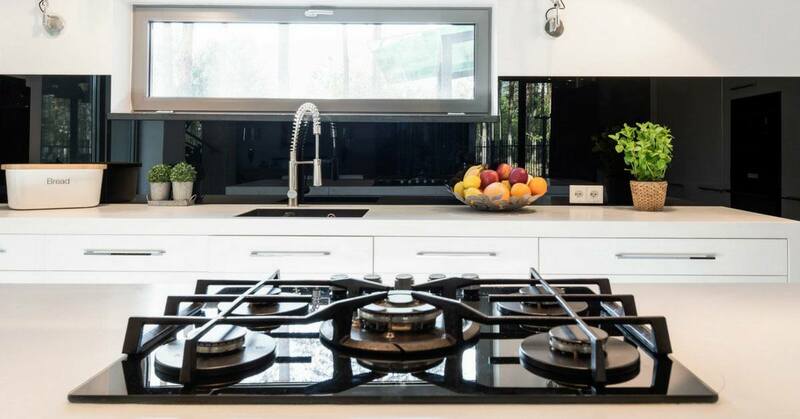 The rangehood must cover the entire area of the cooktop – so if you have a 90cm or larger cooktop, ensure that your range hood is the right size. The performance of a range hood is determined by the amount of air it can extract per minute. An extraction capacity in the range of 600 cubic metres per hour is considered good. If you regularly cook family-sized meals, it’s a good idea to invest in a high-performance rangehood. Performance is also determined by whether the rangehood is ducted or recirculating. The better option is the ducted rangehood which will carry the air outside the building via ducts. Recirculating ones have a carbon filter that will clean the air before letting it out into the kitchen. Filters need to be frequently changed. Rangehoods can be noisy – and if your kitchen is small – you may find the sound of the fan deafening. Speak to your designer to see if you strike a balance between size, performance and acoustics. 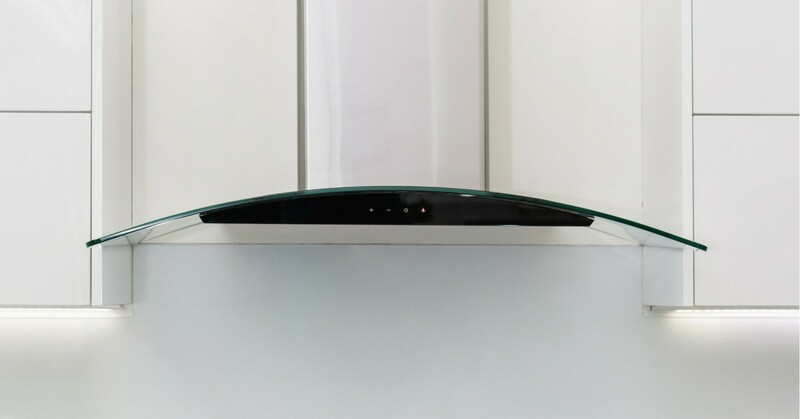 The three most common type of rangehoods are canopy, sliding and integrated. Integrated are a great option for modern minimalist kitchens. Canopy are popular because they offer superior coverage. Even if you find the idea of doing the dishes after dinner relaxing, a dishwasher is a pretty basic necessity. And it is a less complex decision than choosing some of the other kitchen appliances. Here are some factors to consider. Capacity: for a family of four or more, consider the standard size dishwasher – usually 60cm wide. It can hold 14 place settings, which means that it will run at least once a day. Smaller families, or those with limited space in the kitchen can install a 45cm slimline unit, which hold about 9 place settings. Very small kitchens have the option of installing dishdrawers – they are basically drawer-sized dishwashers perfect for small, frequent loads. Internal organisation: take a look what the dishwasher will hold. 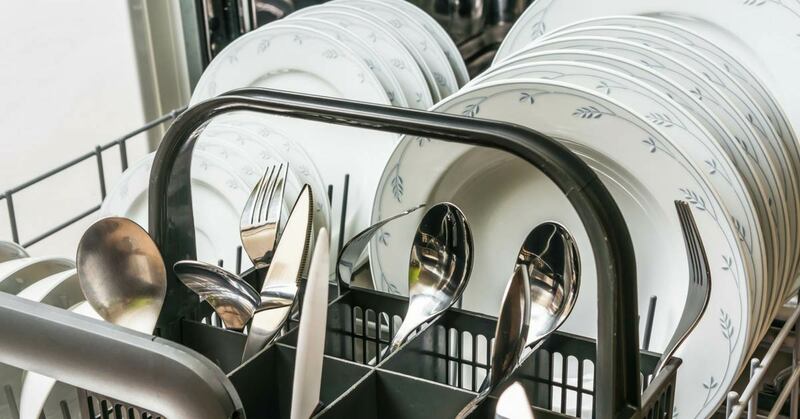 Some are built with greater flexibility to add in or remove cutlery holders, others will hold more dinner plates but fewer pots and pans and some will have a separate rack for utensils (which you won’t need if you prefer to hand wash the silver). If you tend to use long glasses often, make sure the height of the baskets will allow it. Ditto with oversized dinner plates. Better still, chose a dishwasher with adjustable height options. Wash cycles: How many does the dishwasher have? Having a few different options like a short economy cycle and a longer one for greasy pots and pans is a sensible way to customise the run. Another important factor is the water and energy rating of the appliance. You want to choose one with the best possible rating. With power and water rates on the rise every year, the payback from having energy efficient appliances can be very significant. Kitchen appliances are hardworking products that make our lives easier. We’ve always told our customers to buy the best their budget will allow. Zesta Kitchen’s designers have extensive knowledge of what’s the best way to allocate spend on appliances based on need. If you are planning for a new kitchen, walk into one of our showrooms located at Nunawading, Cheltenham or Richmond or book an in-home design appointment.